FIGS. 66-69. 66-68. Ovaries of Dracontium. 66. D. spruceanum (Zhu 1486). 67. D. polyphyllum L. (Zhu 1462), ovary, cross-section. 68. D. spruceanum (Zhu 1486), ovary, longitudinal section. 69. 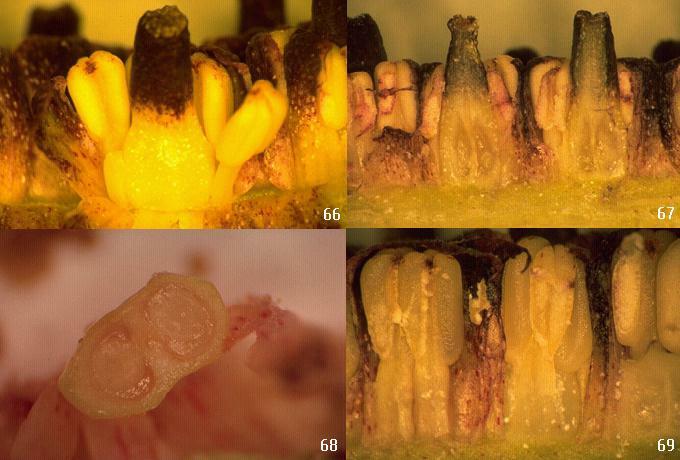 Anthers of D. spruceanum (Zhu 1486).